Strasbourg, France. March 01, 2011 – Russia has become a new member state of the Council of Europe Eurimages, a fund established by the Council of Europe in 1988 for co-production and distribution of European films. Russia’s membership will open the road for the promotion of its films in Europe and worldwide. Now Russian film-makers are eligible now for the programs of Eurimages. Co-producers from Russia and any European country can submit their joint projects to Eurimages for the financial support. Russian distributors may have support from Eurimages for distribution of European films. And Russian exhibitors may apply for support for their theatres and digital equipment. Eurimages is the Council of Europe fund for the co-production, distribution, exhibition and digitisation of European cinematographic works. It aims to promote the European film industry by encouraging the production and distribution of films and fostering co-operation between professionals. It’s budget is funded by 35 European member states, except UK. Since it’s foundation in 1988 Eurimages has mainly supported European co-productions, approximately 407 mln euros was invested for 1348 films. Many of these films were award-winners of world top film festivals. 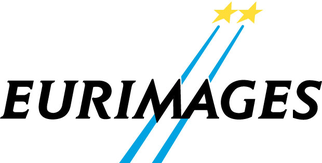 Eurimages also backs 40 movie theatres in Europe with nearly 616,000 euros a year.